Anna Grace came along and was a HUGE help!!! ... and I decided to embrace her crazy post-pool hair. Saturday morning we woke up and the kids found a surprise on our doorstep! While the kids played with their new surprises I headed out to run errands (including a green tea run!) and then we headed to the library. After the library Griffin ran around throwing this giant pig/ball/thing that Sharon dropped off and she was TICKLED!!! HUGE giggles and laughs from sweet girl. Not the best picture - but check out those TEETH!!! Last week Griffin stood up in her Pottery Barn chair and flipped it over - hitting her forehead on the windowsill.... see the mark??? Sunday morning we were waiting for Daddy and Mason's face in the back was CRACKING me up!!! We spent the rest of the day just hanging out. Pool, dinner, playing Uno, etc. This is my last week of summer and we have lots of fun in the plans! You better believe we'll be crafting, snuggling and soaking up these last few days together!!! 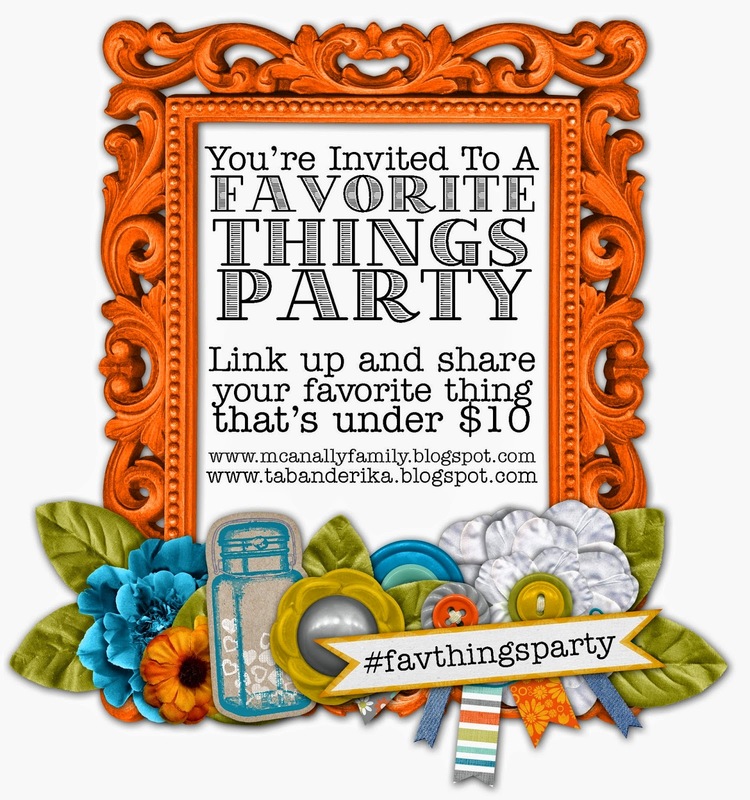 Tomorrow Erika and I will be sharing our Favorite Things Under $10 for the month (you should link up, too!) 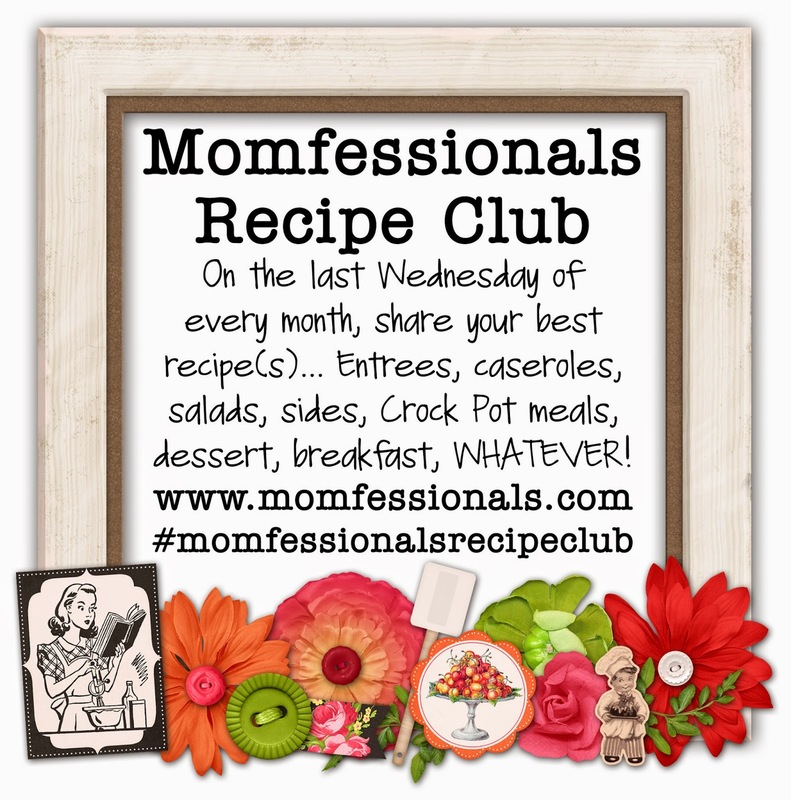 and Wednesday is the Momfessionals Recipe Club! Last thing - I talked on Friday about my Matilda Jane Trunk Show that's happening this Friday and I have something super exciting to streamline the ordering process. If you think you might be placing an order (either online or in person) fill out THIS FORM so that Kat can input all your information now, which will make placing the actual order on Friday much quicker. And if you haven't already - join the Facebook Group to get all the details! Hope y'all have a FABULOUS Monday!!! Mason has the best expressions. The BEST. Happy Monday girl!! I know! It has FLOWN by!!!! Seriously, your kids are so cute! You are an amazing mom, Andrea! Looks like you guys had a great weekend!!! Griffin is getting so big! And cuter every day! Mason has moods swings like my little guy. Funny-and exhausting! Can't wait for the recipe link ups! Of all the blogs I read daily (around 25) you are by far the one I love the most! You have a blessed life that I am envious of, but at the same time, you are a normal everyday mommy!! Love reading and watching!! SO SWEET!!! I try to put it all out there - so I'm glad that you relate to the "everyday-ness" hahaha (I know that's not a word - but couldn't t think of anything else). Enjoy your Monday, girly! Mason's facial expressions are so funny! That kid is just the cutest! Griffins hair, I am so loving it....those curls are so stinkin cute, reminds me of my Grace who has curls for days especially in the heat! Oh and not to leave out Luke because I don't pick favorites, he's looking so grown up these days...I can't even handle it! Have a fabulous week soaking up all your time with your kiddos! Griffin is the cutest even with a bump! What shoes are your little guys wearing? I have a 2 year old and am trying to find some slip on shoes that he can put on himself that aren't crocs. Griffin is cute even with a bump! What shoes are your little boys wearing? I need to find some slip on shoes for my toddler to wear that aren't crocs. Those are cute! I emailed you my sizing question and filled out the pre-order form. I CAN'T WAIT to order that Lydia dress. Since I'm a 3 time boy mama, this is my first MJ order and I am so excited! I'm just hoping it will be here by our fall picture appt 10/13. Mason looked a lot like Luke in two of your photos! I can't believe you go back after this week. I still have two more weeks before we are out for summer... Also, that is so fun your friend leaves the kids a bag of goodies. Griffin is just too cute! She reminds me so much of my little girl! I think Kinley will look just like Griffin in about 8 months! ha! I literally laughed out loud at that pic of GG when you are trying to get things done in the kitcken! My 18 month old does the same exact thing (he just did it tonight while I was trying to cook)! And for some reason he only does it when I'm in the kitchen! Where do you shop for her?